Waking up in a seaside cottage. Your eyes are still closed, but in that waking moment where you question consciousness, you can already hear the waves lapping at the sandy shore. You can listen to the sounds of fishers in the distance, indiscernibly bantering, loading their rowboats boats with hand-woven fishing traps. The first burst of sunlight ignites the sheers; they start glowing insistently. You rise out of bed, slowly walking barefoot over the cottage’s creaking, sandy floorboards. Opening the sheers reveals the windblown sand dunes, the listing grasses that held them together overnight. You open the double doors, the wind gently tugs at the linen as the sheers flow past you. The sun’s warmth and the ocean’s energizing breath permeate. At your feet, on the eroded wood deck, lies a bowl of artisanal bread and fresh fruits – you are always welcome. Maia is a fresh and open space that reminds one of a sun-splashed morning at the beach. The light wood tables and woven furniture coupled with the bleached wood cladding in the ceiling give this space a spirited beach feel. 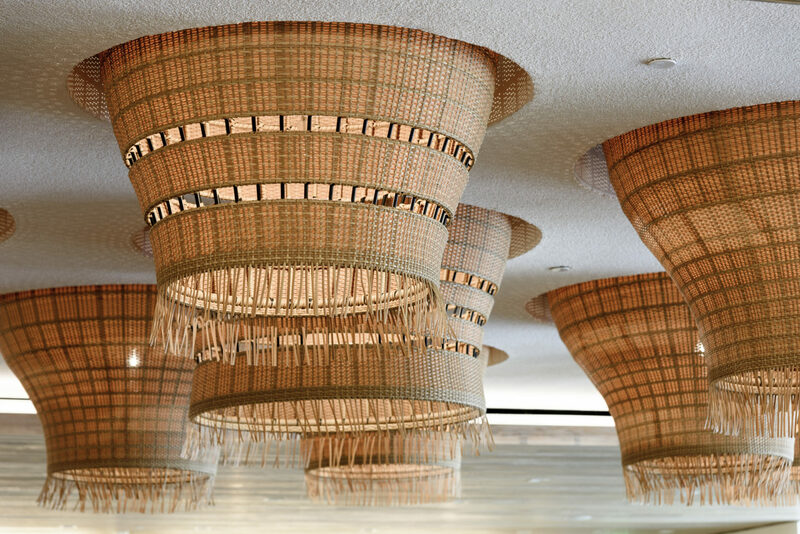 The lighting above the dining area is comprised of enormous woven basket lighting alluding to fishing baskets that dramatically hover within a localized mirrored area visually doubling the space. 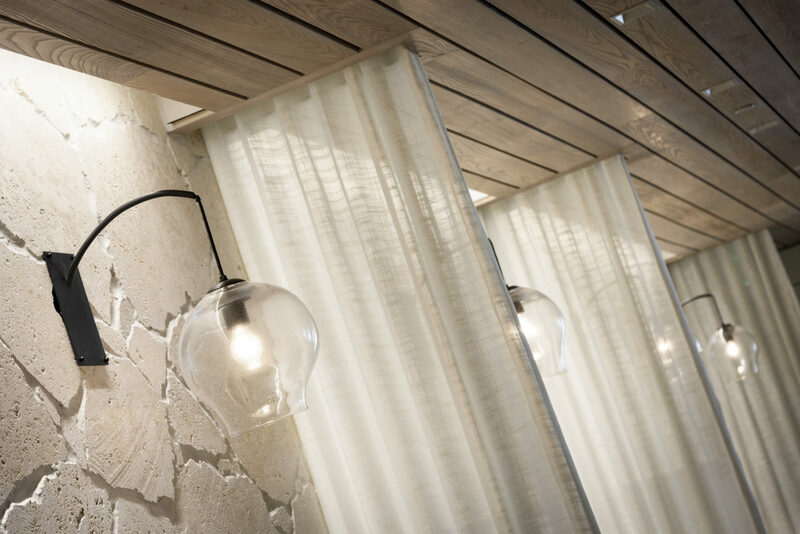 The coral stone walls are racked with light while they are framed with airy drapes to each side.